Missouri lawmakers have sent the governor a bill that would prohibit employees from suing co-workers for injuries they sustain on the job. After Governor Jay Nixon's State of the State address Wednesday, we spoke with Missouri legislators from the Capitol rotunda to discuss details of the address. You can listen to our live show above, and see past comments posted in our live chat below. What did you think of the governor's address? 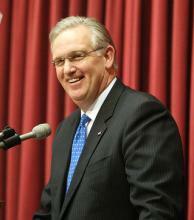 Missouri Gov. 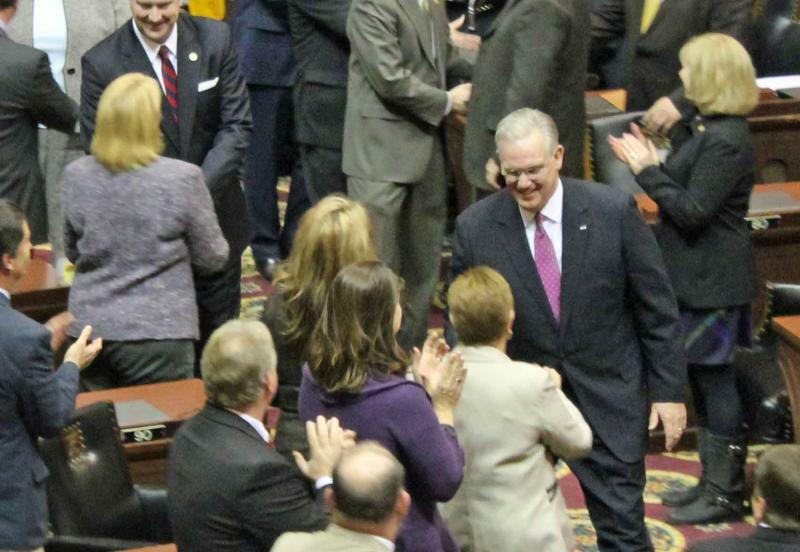 Jay Nixon is proposing to spend $37.1 million to boost wages for state government workers. That wraps up the discussion and live coverage of the governor's State of the State address this evening. Our panelists were Sen. John Lamping, Rep. Chris Kelly, and Phill Brooks, director of the state reporting program for the Missouri School of Journalism. Thanks for joining us!